With over 17 million customers throughout the world getting their marketing message printed with Vistaprint, it was only natural for them to expand their services to include online digital products. Using their proprietary design templates, they can assure that even the smallest small business presents a consistent, fluid and professional image to the world across both off and online markets. Please tell about Vistaprint’s new digital marketing offerings. Vistaprint started in the business card and printed marketing materials space over 20 years ago, and over time we have become one of the largest companies serving small businesses. Over the last five years, Vistaprint has focused more attention on helping our customers with all their marketing needs and has invested heavily in digital marketing to help small business owners get and be found online. We know from our research that 60% of customers are less likely to buy from small businesses based on a bad impression of its website, but small business owners can lack the time and resources to improve their digital presence. Our digital marketing services offer small business owners a one-stop shop for the products they need to run campaigns online, including a website builder, local listings, social media marketing, email marketing, business email, and design services. One of the things that we are uniquely positioned to do is to help our customers market themselves both offline and online with a professional, credible and consistent identity. We take their business card and printed marketing materials and make it seamless for them to take their brand into the online space even if they are not tech savvy. Our easy-to-use online products are providing these business owners with the tools and know-how to look professional and consistent across all channels. How does Vistaprint’s website design services work? 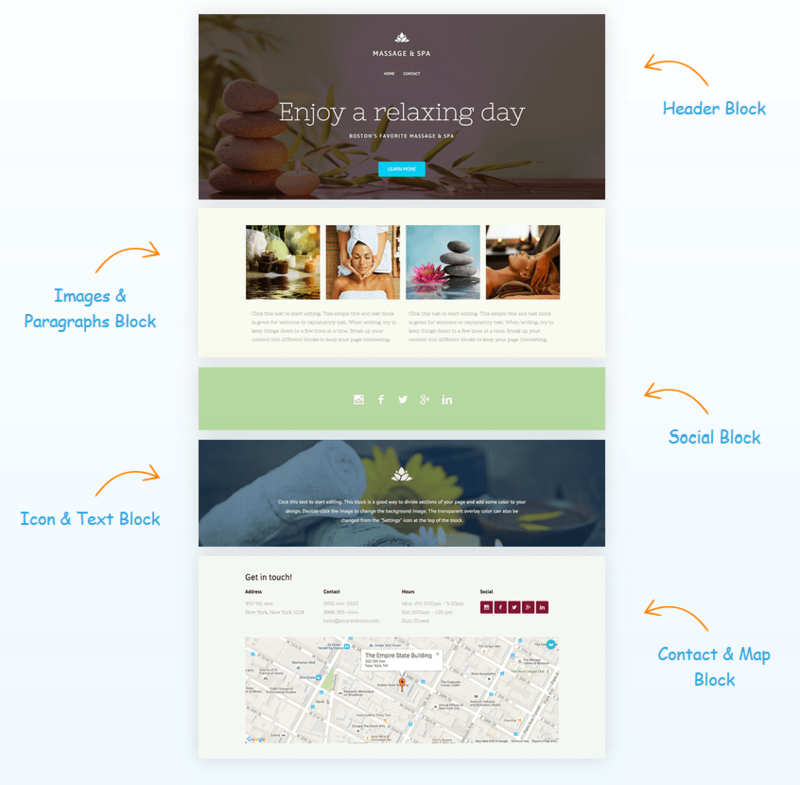 Our website design starts like our other offerings – with a template. We have thousands of template designs that customers can use for their business cards, postcards, brochures, t-shirts and other apparel, so we’ve developed this proprietary technology that we call “matching.” By extending those design assets into the online space, every template we offer essentially matches a design family that can be used across all our marketing products. 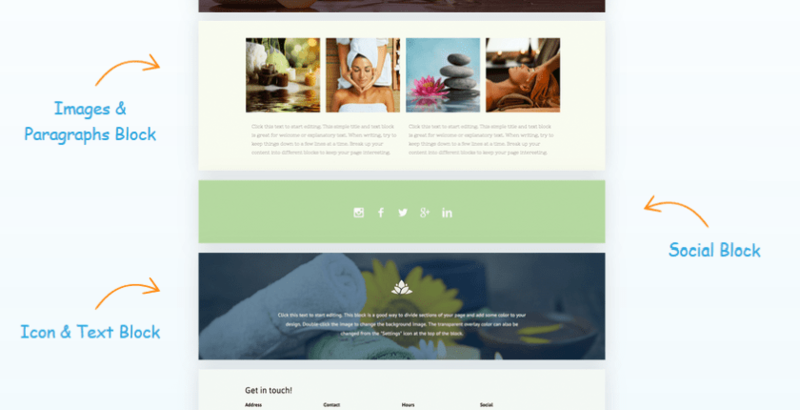 So, once small business owners are ready to create an online presence, we pre-populate the templates with the logo, colors, and fonts that they’ve used before. In this way, we can help create consistent, professional branding and get them up and running easily so they can focus on tweaking their content. 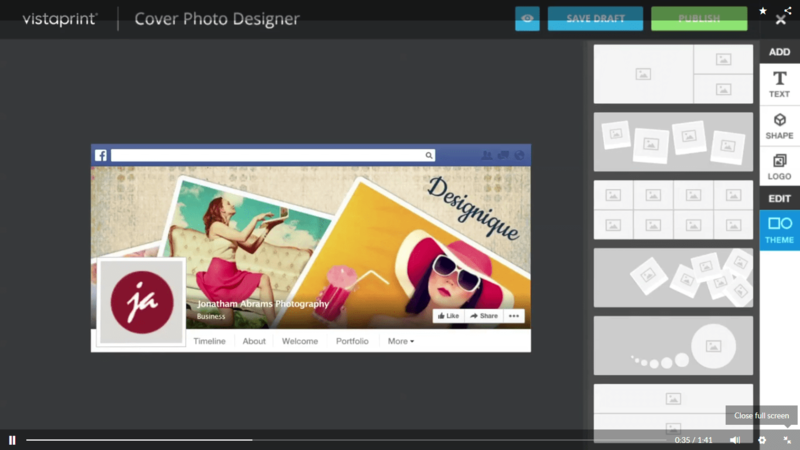 They can then easily add, remove and reposition content blocks like menus, calendars and galleries. Elements such as fonts, headers, footers and colors can be changed universally with a single click. Since around 50% of website traffic these days is mobile, we make sure all our templates are built using responsive HTML. What services do you offer for hosting the websites? We offer three different type of hosting packages ranging from $5 to $25 a month depending on our customers’ needs. As is common in the website industry, hosting packages can be purchased at a monthly or annual basis. However, we are one of the only companies that offers a free domain name even if you’re only on a monthly plan. Through our partnership with Amazon Web Services, our customers’ sites are hosted on the most modern, highly scalable, secure cloud technology there is with an uptime of 99.9%. In the past, it was mainly sites that requested sensitive information or accepted payments over the internet that were using SSL security. However, it seems that Google will soon be labeling all sites without HTTPS as insecure, scaring off potential visitors. SSL can be a big expense for small businesses. Does Vistaprint provide SSL? That is correct. Google has announced it will start to notify visitors to websites that do not have HTTPS and an SSL installed that the website is not secure. They are very actively trying to push SSL, so the industry has had to adapt. Frankly, if you cannot offer SSL services to your client at this point, you’re not giving them the basic requirement they need to be online in 2018. Some hosts charge companies hundreds of dollars a year to enable SSL on their website, which is a considerable cost for small business owners. As the technology has evolved, we consider SSL a must-have for business owners who want to look and feel legitimate and professional, and therefore include HTTPS at no additional charge. Please tell us about your social media marketing offerings. We actually see an interesting shift. It used to be that businesses created a website as the first step in an online presence. However, since a website takes a little bit of time to design to get right, more and more business owners are starting with creating online presences on Facebook, Twitter, and other social media platforms. The first thing we help our customers with is designing a professional cover photo. Cover photos have become the area businesses use to market their business or promote a sale or event. So, we’ve put together a bunch of design tools that make it really easy for customers to create and change their cover photos as often as they like. Once they’ve established a professional-looking social media presence, we also help them engage customers by posting/tweeting. Through various partnerships, we source and present current content which our customers can post or tweet to their audience. When our customers first start in social media, this content library is very helpful in getting their creative juices going. As they get their feet wet and become more familiar with the process, they find it easier to discover engaging content on their own. As most of our customers are time and resource-strapped, they may not be able to use social media every day. With our post scheduling capability, they can choose to spend the time once a week, or even every two weeks and then schedule their content to appear on different days and times. Are there also templates for creating promoted content and social media ads? 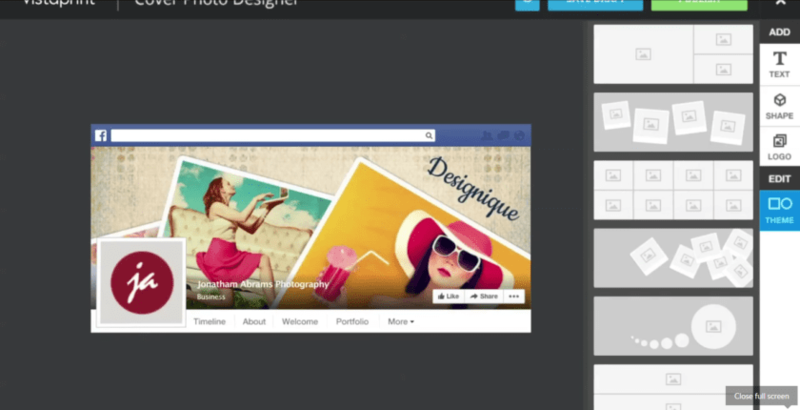 Facebook ads are highly visual, so again we provide layouts and templates that can be used to design a high-quality ad. Small business owners can use their own imagery or any of the images in our library of free, high-quality stock photography. Once the ad is ready, Facebook has some amazing tools to make sure ads reaches the desired demographic. Business owners can request their ad to display to users within any combination of different categories including gender, age and location and really target the interest. They can also define their budget and Facebook will let them know how many people they can hope to reach. I know Facebook has very strict specifications for paid ads, such as a 20% text to image ratio. Do your templates follow the rules to make sure ads do get rejected? Our Facebook ad templates have less than 20 percent surface area for text which complies with their specs. Now if a customer decides to add more text, we let them know that it not recommended and that their ad is at risk of being rejected by Facebook. However, we don’t actually prevent them from doing so. Sometimes an ad with more than a 20% surface area of text will get past Facebook, so that is a chance a customer may want to take. What new offerings can we expect from Vistaprint? As we continue to invest in our online marketing offerings, you can expect to see us expanding into helping our customers get found on search engines and sell online. The message that we live every day is: what can we do to give our customers the tools and know-how to look professional online, while removing the digital challenges they face. Read Our Vistaprint Review Here!